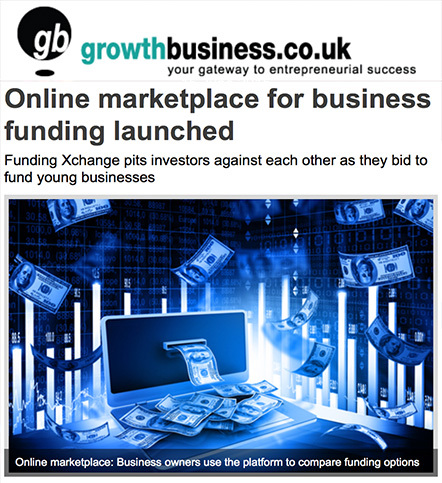 An online marketplace where lenders compete for the chance to work with young businesses has been launched. Funding Xchange is the brain child of Ocado innovator Olivier Beau de Lomenie and former Bain & Co SME specialist Katrin Herrling. The founders claim it is the first online space on which business owners can compare options among potential corporate lenders and financial backers. The site has been set up to help business owners who often have to spend all of their time on evenings and weekends researching finance as traditional working hours are taken up with the day-to-day running of the business. With around one-half of corporate funding requests rejected by traditional banks, business owners are often restricted in their options by not having time to shop around. Subsequently around 60% only speak to one potential backer before making a decision. On the new online marketplace business owners answer a few questions and can reach funders to get a transparent view of the available options. Funders respond with individual quotes, bidding for the opportunity to lend. Co-founder and CTO Beau de Lomenie added that, as a technologist, he is “passionate about creating innovative new enterprise solutions”. “Throughout my career, I have used technology to make complex processes simple for customers,” he said. “At Ocado, our focus was to cut through the complexity of grocery shopping and change the way consumers shopped for food. Funding Xchange is no exception. It brings clarity and simplicity to a process that is notoriously tricky and opaque."